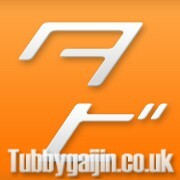 Tubbygaijin.com » Well hello again! What was supposed to be mere hours of downtime stretched into almost two months, but Tubbygaijin.co.uk returns! I won’t go into details, but I broke the site, bad. Luckily everything was recoverable and I was able to continue posting during the downtime so there are a few new bits on here. The site has had a complete rebuild, I started using WordPress at version 2.3.2 so many site features relied on hacks and plugins to function. Everything’s alot less complicated now which should hopefully make for a better user experience. Colour scheme and general design have a bit of a facelift, bringing it into the CSS3 world. The mucky orange of the 2011 theme has been brightened up considerably and pages now sit on a white background to make content easier to read. I’ve also streamlined the number of main categories to six, others still exist but mainly for archiving. Externally, I’ve set up a new facebook page, so head over there and like it if you’re feeling nice! Not a great deal on there at the moment but I’m developing some custom tabs to add in the near future. Just about everything else, same old me and my ramblings! The rest of 2012 should be an exciting though, so watch this space!